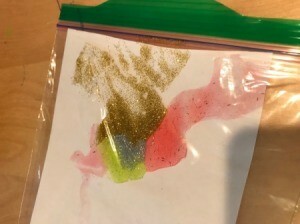 Both my children love playing with glitter, but it can be messy! 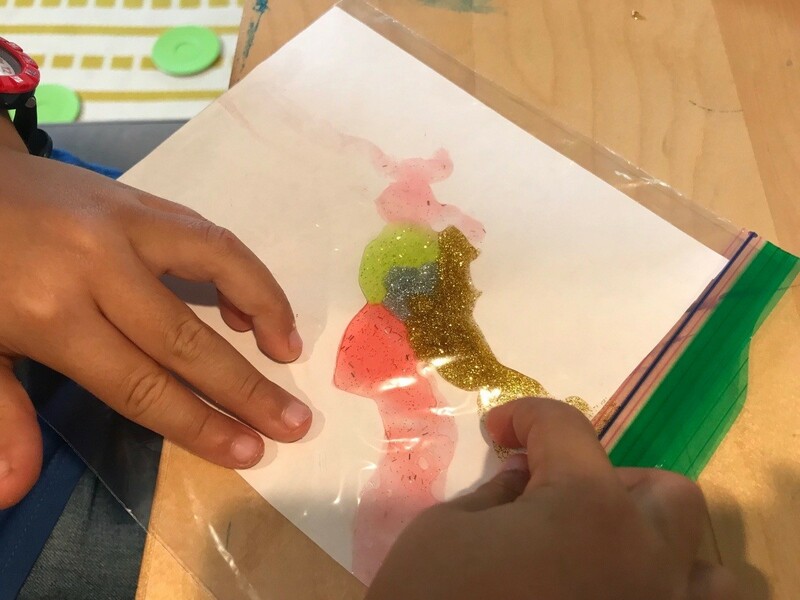 Here's a fun and mess free art activity your child(ren) can play with, have fun, and in the end once dried - it's a lovely piece of art! 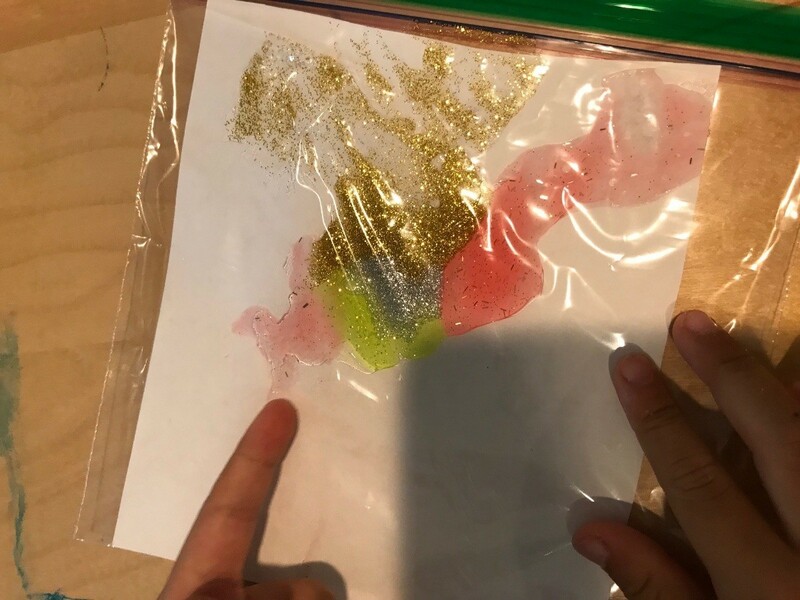 Measure out a square of paper smaller than the Ziploc bag and have your child cut the square out (with adult supervision). 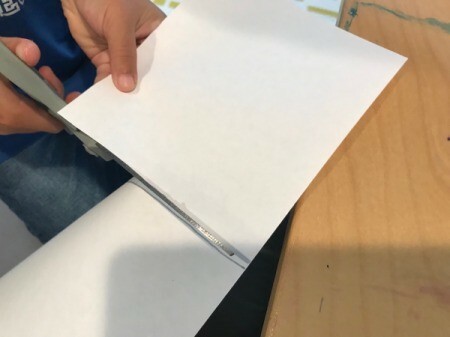 Now the fun begins for your child. 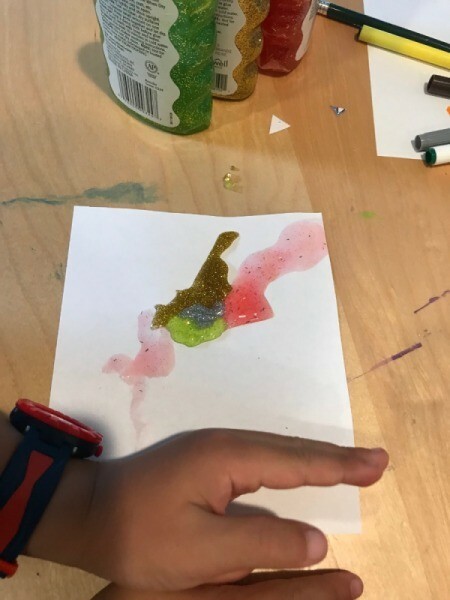 Allow your child to create an art piece with the glitter glue. Once completed, carefully slide in the piece of paper into the Ziploc bag and make sure your bag is completely sealed! 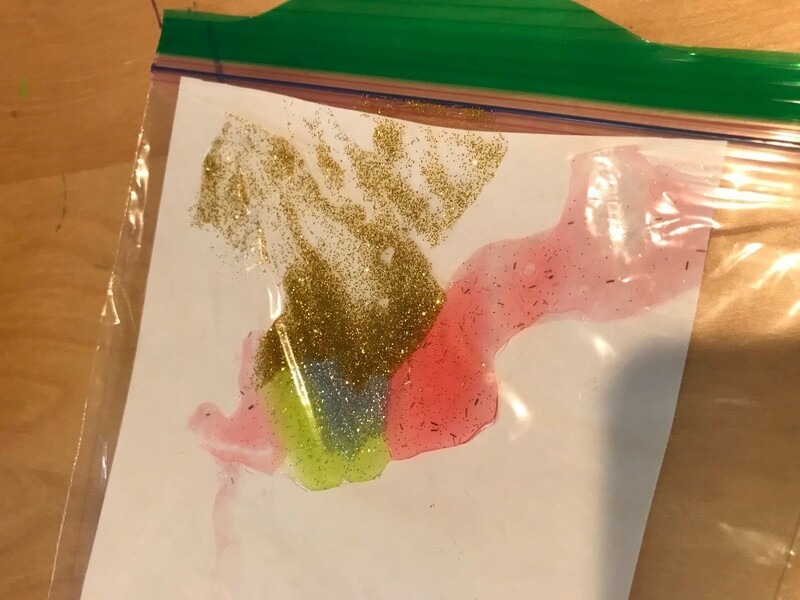 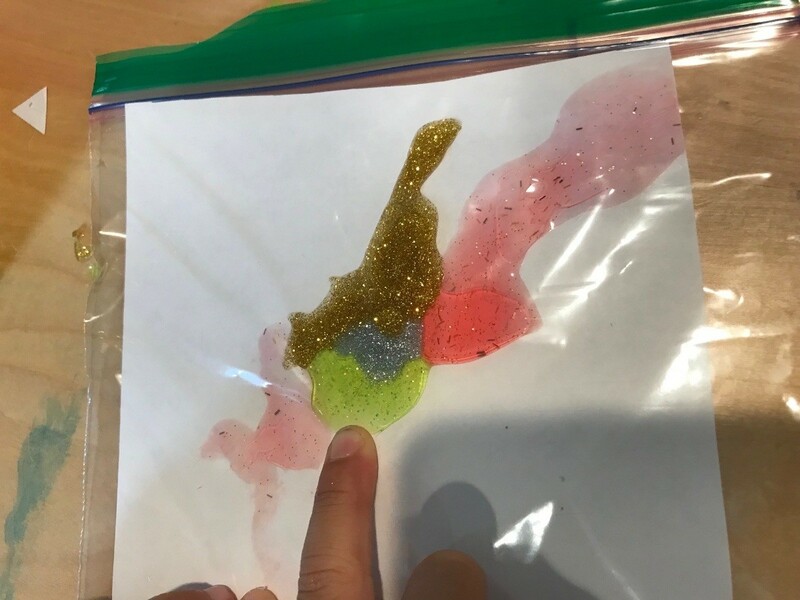 Now the fun begins, where your child can press into the glitter glue with their hands (without the mess, while having endless fun!). 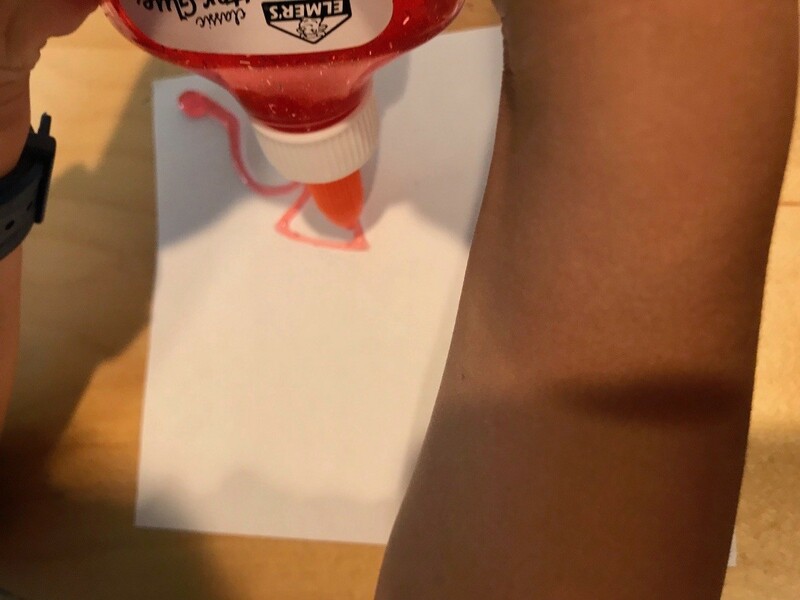 Then, eventually the glue will dry and you'll be left with a piece of art!